What happens when fate calls your name? 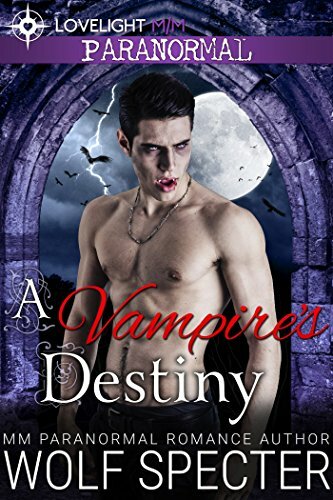 Especially, if that fate includes a strikingly handsome stranger, who just happens to be a...vampire. Patrick never thought he'd meet his soul mate when he'd agreed to go out to a club with his friend. It was a tired scene, and no one seemed worth his attention. That is, until he tried to leave, but found himself unable to move once he saw the gorgeous stranger approach him. He wasn't even gay. What was happening to him?